What are the treasures in Benjamin's Box? Come along with Benjamin and see. Like all boys and girls, Benjamin is very, very curious. 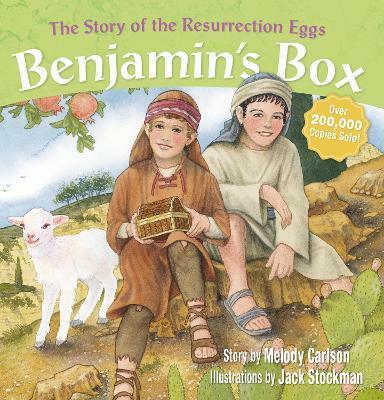 When Jesus comes to Jerusalem, Benjamin decides to follow him and find out who he really is. At first, Benjamin thinks Jesus is a teacher, then a king. At last, he learns the good news--news that every child (and grown-up!) will want to share. Can be used in conjunction with Resurrection Eggs(R) from Family Life! What are the treasures in Benjamin's Box? Come along with Benjamin and see. Like all boys and girls, Benjamin is very, very curious. When Jesus comes to Jerusalem, Benjamin decides to follow him and find out who he really is. At first, Benjamin thinks Jesus is a teacher, then a king. At last, he learns the good news---news that every child (and grown-up!) will want to share. Can be used in conjunction with Resurrection Eggs(R) from Family Life!